The ‘variety of incidents’ was the reason Crawley’s latest police officer chose the town as her first post following her training. And when new recruit PC Charlie Boyce carried out personal safety training she had no idea how soon she would need to put it into practice. Just two shifts into policing the streets of Sussex she was forced to tackle a drunk motorist who was resisting arrest. “I was proactive and put everything I had learned into practice when the motorcyclist assaulted two of my colleagues,” said PC Boyce, who is now two weeks into her first posting at Crawley. Charlie is part of a record intake of 70 police officers who started in September, the largest in a decade, funded by last year’s rise in council tax. She joins her colleagues who, this month, have started serving communities across Sussex following an intensive 15 weeks of training. 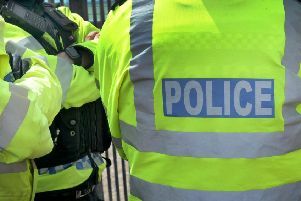 They are part of a drive that will see hundreds of police officers recruited over the next four years, including an extra 200 officers all paid for by the policing precept. The journey of the new recruits has been documented on Sussex Police’s social media channels. Their experiences, as they begin policing communities across Sussex, will be showcased in a series of videos and stories over the coming weeks. Sussex PCC, Katy Bourne, commented: “I am always interested to meet our new recruits, both police officers and PCSOs, and find out what motivated them to join the Force. The range of different backgrounds and experiences mean they all have something special to offer the Force and contribute to the policing of local neighbourhoods. Last year’s council tax rise has been used to strengthen local policing, improve ways for the public to make contact, and further modernise the service to meet new and increasingly complex demands. Recruitment of new police officers involves a rigorous assessment process that can take up to 8-10 months. It is carried out at regular intervals to manage capacity in training and tutorship. The next round of recruitment is planned for summer 2019.